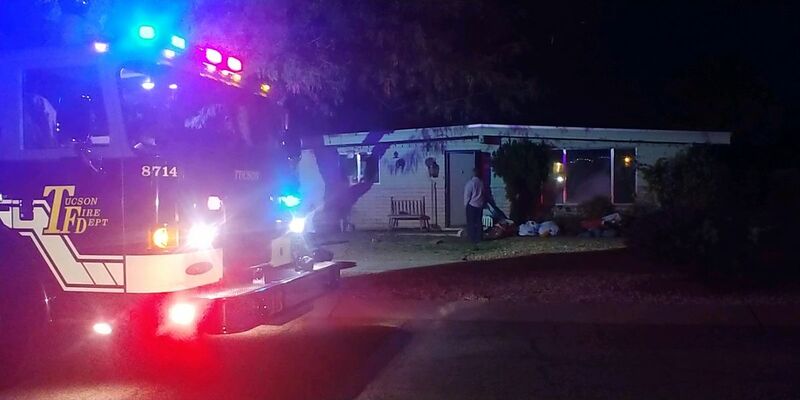 TUCSON, AZ (Tucson News Now) - A Tucson family is displaced after a fire starts in their kitchen Saturday night, Dec. 15. Firefighters were called out just before 5:00 p.m. to reports of a house fire on E. Random Ridge Drive on the east side of Tucson, near Golf Links Road and Kolb Road. Firefighters were able to knock down the flames but not before one person inside the home was seriously injured and taken to the hospital. The Tucson Fire Department battalion chief on scene told Tucson News Now that it started in the kitchen. Three people were forced out of the home and are unable to live there safely tonight. Firefighters are still investigating how it started.